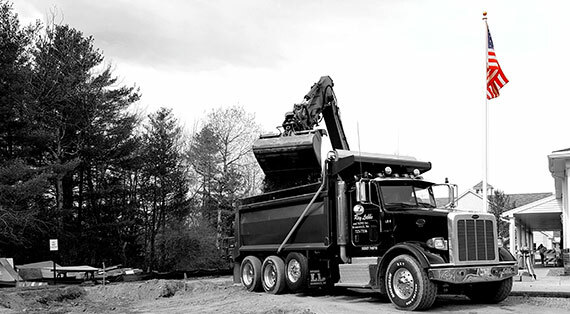 Ray Labbe & Sons specializes in site work, which has always been the backbone of our company. Our projects range in size from the small site package for the homeowner to very large multi-acre projects. We have worked with many general contractors and project managers in the southern Maine area and when a structure is not involved, we act as the general contractor ourselves. For the homeowner we provide such services as foundation excavations, installation of septic & water systems, clearing & landscaping, and driveways. 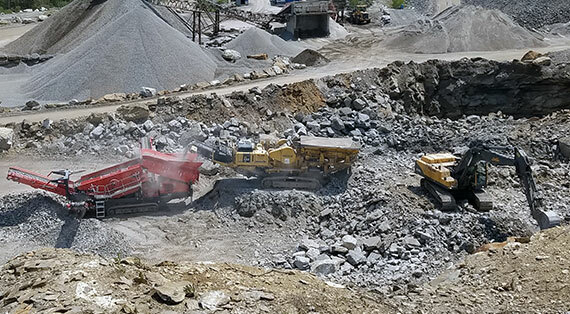 For the larger customers, in addition to these services, we provide mass excavation, large cuts and fills, civil site work drainage, and creating retention areas. 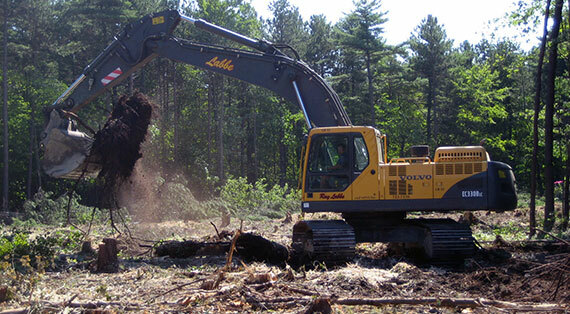 Ray Labbe & Sons is very environmentally conscious, and we are among a small number of contractors recognized by the state of Maine as a “Certified Erosion Control” specialist. 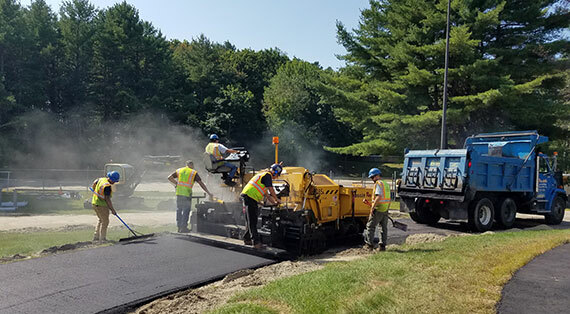 Ray Labbe & Sons provides complete paving services including walkways, driveways, parking lots, roadways, and curbing. You want quality materials, backed by reliable workmanship, delivered on time and on budget, and that's exactly what you'll get when you work with Ray Labbe & Sons. We have been providing quality paving services since 1989, bringing the same knowledge, experience and products to smaller projects as we do to large commercial jobs. Over the years, our utility division has grown and prospered, due primarily to strong leadership and a dedicated work force. Ray Labbe & Sons has worked on utility projects ranging from a few hundred dollars to over million dollars, using state of the art equipment for safety and production. 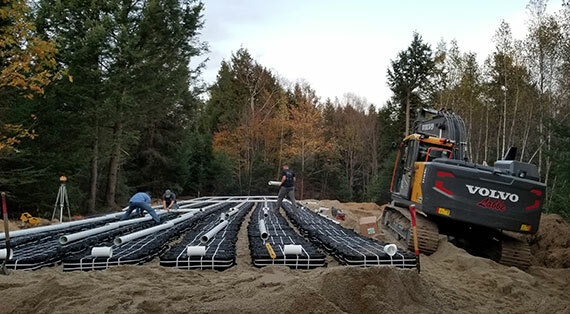 These projects include water & sewer lines, storm drains, and underground electrical lines for municipalities, commercial buildings, developments and individual homes. Our utility team is experienced in all phases of underground installation. Whether digging deep or shallow, in wet conditions or tight quarters, our crews have the expertise to do safe, quality construction delivered on time and within budget. At Ray Labbe & Sons, demolition and recycling go hand in hand. As we remove an old structure or rehabilitate an existing parking lot, we recycle as much of the waste as possible. 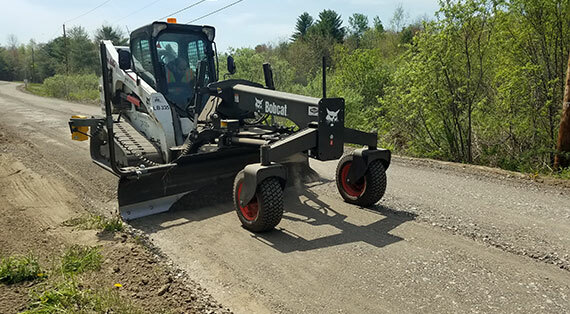 Materials such as concrete, brick, and asphalt are crushed and screened, which allows us to size the material to be used in projects such as driveway foundations. 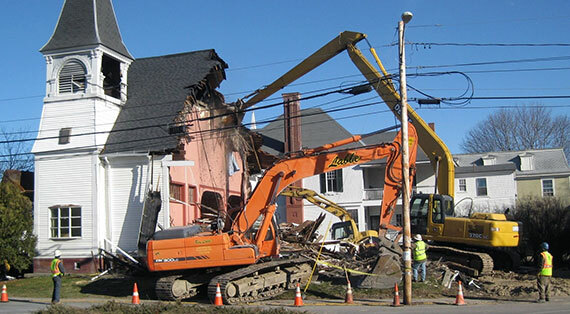 Because of the size of our equipment, we are able to quickly and efficiently demolish almost any size structure using excavators, and our large demolition hammers can easily break up concrete or rock foundations. Ray Labbe & Sons has been offering grading services for many years. We feature a variety of grading equipment capable of servicing commercial and residential customers alike. Some of our typical projects include narrow camp roads, public roads, large developments, horse arenas, athletic fields and tracks. With state-of-the-art equipment and expert operators, we can accurately and efficiently satisfy your grading needs. Snow removal is a necessity if you live in Maine . We at Ray Labbe & Sons design our plowing contracts to custom fit the owners' needs. Commercial customers are our specialty and we provide snow removal services for businesses such as banks, shopping centers, office complexes, and many other retail businesses. We understand the importance of keeping your driveways and lots clear of snow and ice while, at the same time, not disrupting your customers. Our professional drivers and equipment operators have many years of experience in snow removal, salting, and sanding. 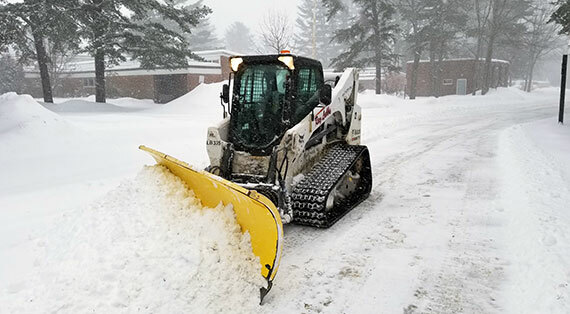 From our largest loaders and dump trucks used for parking lots, to snow blowers and shovels for the connecting sidewalks, Ray Labbe & Sons will meet your snow removal needs safely, quickly, and efficiently. In Maine, the business world doesn't stop because of a snowstorm, and we can keep your customers and employees safe during the inclement weather. We also can deliver salt or salted sand to your location, or you can pick it up at our main office. With the addition of our Komatsu 550 track mounted mobile crusher we are now able to bring crushing to your job site or pit. In addition it allows us to recycle materials on our own job sites making it possible to reduce trucking which helps minimize transportation costs and emissions. We have a large fleet of trucks ranging from one-tons to tri-axles able to meet your trucking needs. We have a long list of contractors which we provide trucks to on a regular basis. In addition we regularly deliver our products to commercial properties and residential homeowners with no minimum quantities required.